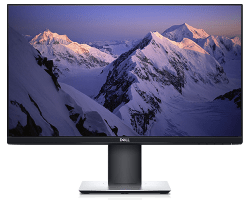 Today only, Newegg offers the Dell 24" 1080p IPS LED Monitor for $169.99. Coupon code "EMCSTUUB3" cuts it to $149.99. With free shipping, that's a $60 drop since our Cyber Monday mention and the best price we could find by $40 today. It features a 1920x1080 (1080p) resolution, HDMI, USB type-C, and USB 3.0 ports.